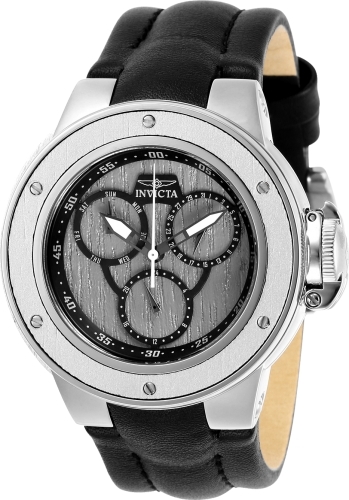 Led with expert engineering, no feat or occasion will ever be too great for Invicta's Subaqua to handle. The sheer magnitude of this mighty timepiece is superbly executed with surgical-grade stainless steel, Swiss movements and multiple color options of ionic plating. Managing up to 500 meters of water, finished off with a unidirectional rotating bezel, and integrated shock resistance- the Invicta Subaqua is the diver definitive in negotiating any adventure by land or by sea.